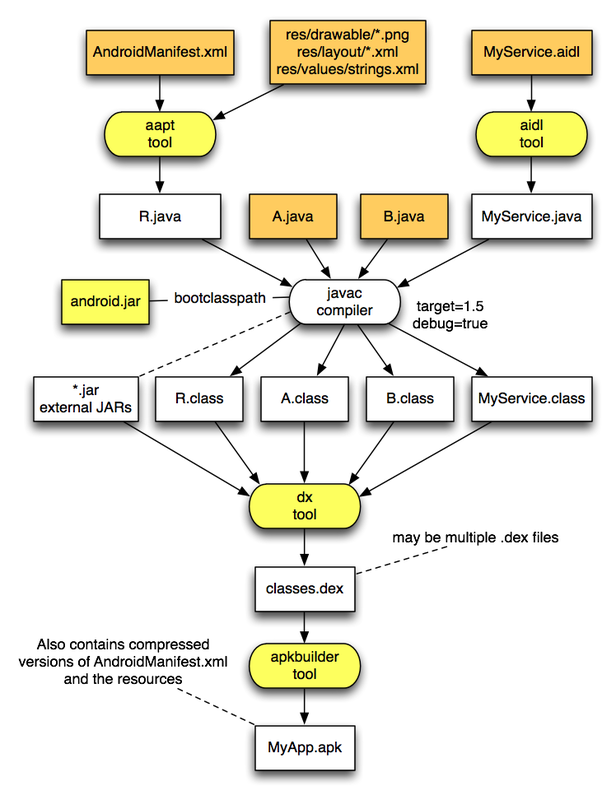 This diagram shows how Java source code, XML files, and other resources are compiled and packaged into an Android package file. The resulting .apk file is actually a JAR file, you can see its content by typing jar -tvf MyApp.apk. Please let me know if I got anything wrong! Posted on Wednesday, November 5th, 2008 at 1:32 pm in Android.